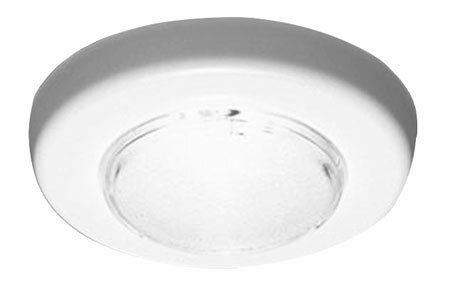 FriLight 8308 Ringo LED Recess Ceiling Light, 12 volt - 24 Volt (10-30v dc), with Multiple LED choices - see LED Detail. SalVinCo.com>SALE - Clearance > FriLight 8308 Ringo LED Recess 12v/24v Ceiling Light (10-30vdc) with Multiple LED choices - see Bulb detail. FriLight 8308 Ringo LED Recess 12v/24v Ceiling Light (10-30vdc) with Multiple LED choices - see Bulb detail. Includes energy efficient Bee Green LED Bulb with fuse and transient suppressor to protect current overload and voltage spikes. 12 SMD G4 LED Bulb (equivalent to 25 watt Incandescent Bulb or 12w Halogen). Low power consumption - LED bulbs use up to 5x less power than their equivalent halogen and Xenon predecessors. Minimal Heat Dissipation - keeps cabins / rooms cooler. Shock Resistant - no filament or glass to break. Environmentally Green - no mercury (as in fluorescent bulbs). 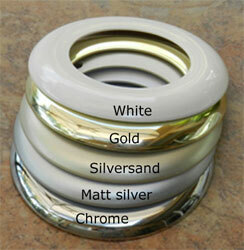 Most of our fixtures are available with Warm White, Cool White, Red or Blue LED bulbs. All of our bulbs are 12volt / 24 volt (10-30v dc) constant current and EMI free (no electromagnetic interference). Fused for protection from entire circuit outage.